Tonnages: 13,543 gross 7.680 net 21,900 deadweight. Main Dimensions: 527.9 x 75.2 x 32.1 feet. Cargo Handling: Fitted with three electric hydraulic deck cranes of 10 tons SWL suitable for grab handling. Engine: Horten Sulzer oil engine 6 RD 76. 9,600 bhp 15 knots. May 1969: Completed by Marinens Hovedverft, Horten (Yard No. 165) for Lyle Shipping Co. Ltd., Glasgow. Scottish Ship Management Ltd., Glasgow, managers. Maiden Voyage: Horten to Rostock, loaded pig iron for Wakayama, Japan. 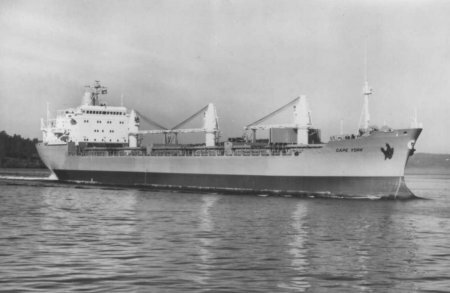 1979: Sold to Freedom Compania Naviera SA. Greece flag, renamed FREEDOM A.S.
1980:	Sold Baybridge Shipping Co. Liberian flag, renamed BAYBRIDGE. 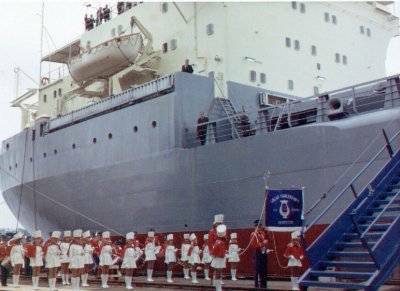 1984: Sold Philippine Transmarine Carriers, Philippine flag, renamed BOTOCAN. 1988:	Sold Ultra Shipping Co. Philippine flag, name retained. 1988:	Sold Heron Shipping Co. Ltd. Liberia flag, renamed FRANCESCA. 1988: Renamed SYROS by Heron Shipping Co. Ltd. Liberia flag retained, Offer Brothers (Management) Ltd. Haifa, managers. 1992:	Management to Goldenport Compania Naviera (Cyprus). 1993:	Sold, Deep Blue Shipping Corporation, Ltd., Alva Corporation, managers. Liberia flag, renamed RAK STAR. 1993:	Sold, International Trading Co. United Arab Emirates flag, name retained. 1996: Sold, Saaba Shipping Ltd., ASR Toseae Co. Ltd. managers, St. Vincent & Grenadines flag, renamed SAABA. 2001:	: 19th May. Arrived at Mumbai to be broken up.